STØLÅS Maritime Jacket - STØLÅS Watch Co.
Click the button below to add the STØLÅS Maritime Jacket to your wish list. 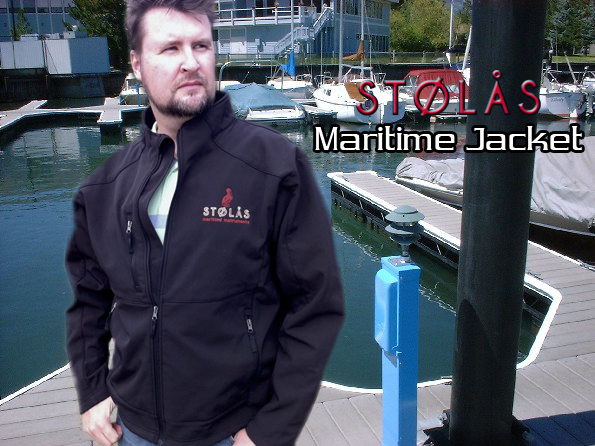 The STØLÅS Maritime Jacket will keep you warm and dry while looking good too. Designed within our Maritime theme the Comtex® material is waterproof, windproof, breathable and durable, everything you need while on the water or in the city! By blending the flexibility of spandex and the durability of a modern polyester and then bonded that exceptional fabric to a plush layer of brushed microfiber for added comfort with a lightweight, slimming profile. The result is a breathable, solid jacket that wears well on its own and is ideal for layering. This Jacket fits both Men and Women GREAT! I am glad I picked this up along with a shirt. It is actually my warmest jacket I have!